It happened at a La Mesa home. 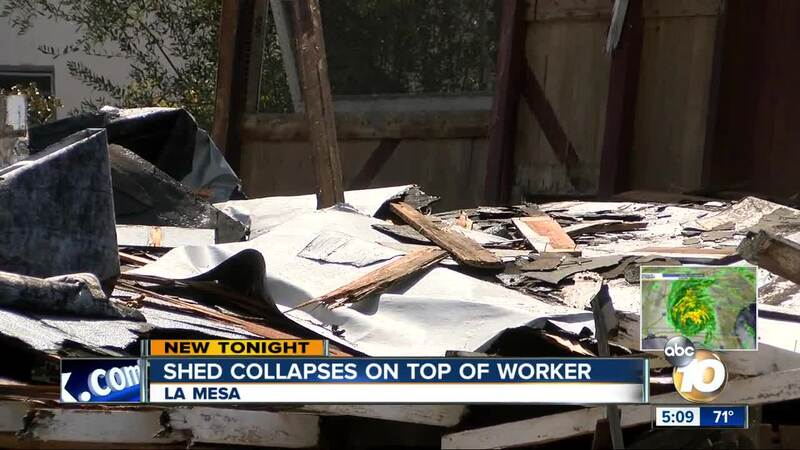 LA MESA, Calif. (KGTV) -- A man was taken to the hospital after a shed in La Mesa collapsed on top of him. According to authorities, the incident happened on the 9100 block of Johnson Drive around 2 p.m.
A resident in the area told 10News his neighbor hired a worker to take down the shed. Shortly after the project began, the shed collapsed. The worker was taken to the hospital in unknown condition.